While walking along Park Blvd today, I saw something quite unexpected on the block between El Cajon and Howard: A frantic rabbit hopping around the sidewalk looking for refuge and finding none. I snapped the Featured Image and companion using iPhone X, being careful not to approach too closely. 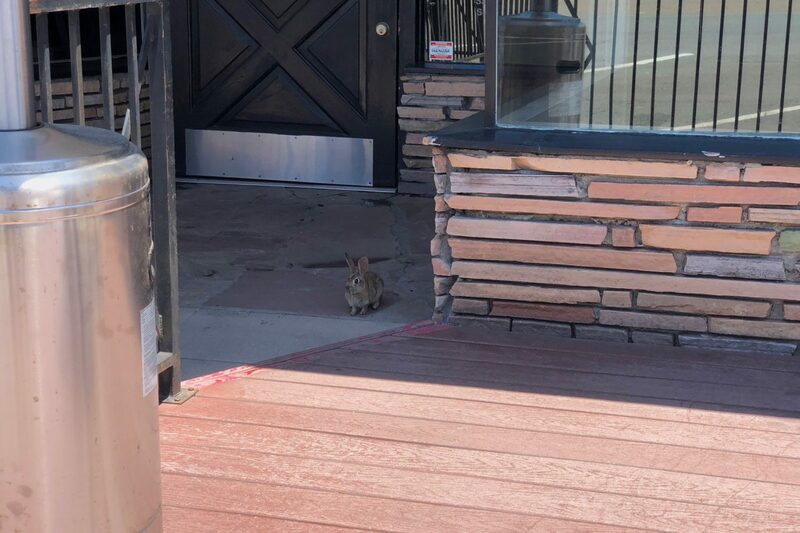 But eventually the exhaust roar of a city bus startled the bunny, which sprinted from the Bruno pizzeria doorway across busy Park Blvd to the Chevron petrol station. 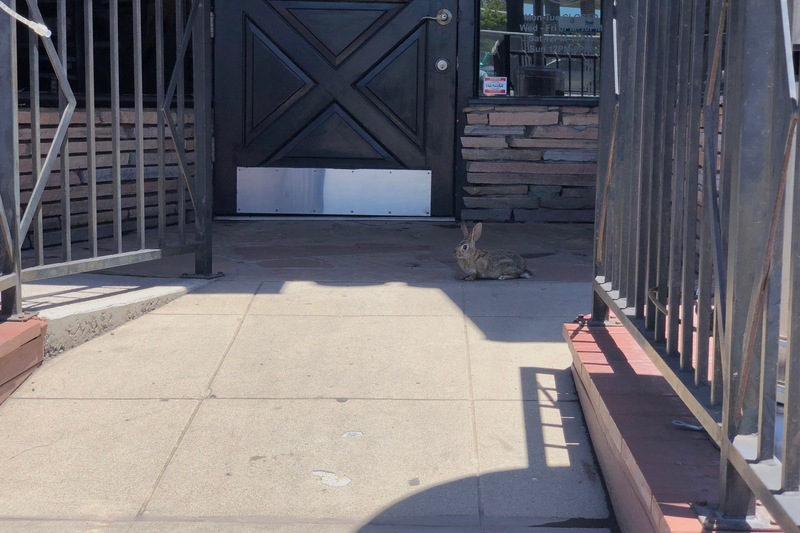 Presumably he continued across six lanes of Washington Street traffic to San Diego school administration buildings, where there are places the little hopper could find cover and familiar surroundings—like bushes and trees. I had to know the outcome, walking around the block to survey the asphalt for roadkill. Whew, there was none. Both pics are cropped, and I removed my reflection from window glass in the second. Vitals for the first: f/2.4, ISO 16, 1/540 sec, 6mm. The other is same, except for 1/309 sec shutter speed. I captured both at 1 p.m. PDT.